In addition, women are far more likely to live alone for a significant period of time (either by choice or circumstance), often take career breaks to raise children and/or become a caretaker to parents or loved ones, so they earn lower wages over their lifetimes and therefore have less opportunity to save for the future. Discovering how to use money as a tool to enhance present and future life can inspire taking a new approach that leads to clarity by tracking successes (and setbacks) rather than shying away from them. So, why do some women hesitate to have conversations about money? “It is not polite to talk about money.” It is a common refrain to hear people say they do not discuss religion, politics or money as it usually causes disagreements, so best to avoid all of it. Even as we see younger generations begin to question the logic of these beliefs, there are still generations of adults who follow this command as it relates to money. Personal finance was not taught in school. A vast majority of school districts in the United States have not adopted a financial curriculum, further compounding the deficit in financial education at home. According to the Council for Economic Education’s 2016 Survey of the States, “Only 17 states require students to take a high school course in Personal Finance.”3 That equates to 66 percent of school children still not being formally taught essential personal financial life skills. The financial world seems too complex. There are many differing opinions regarding what people should do with their money. Some of those opinions originate from people who do not possess the knowledge they claim to have or from people who do not have investors’ best interests at heart. With the financial media telling investors when to buy and sell risky individual stocks or hot sectors, and with the existence of confusing products in the marketplace like derivatives of derivatives, it’s no wonder that intelligent women and investors in general are leery of taking any action. Yes, the financial world is complex — but women need to boldly step forward and find a trusted financial professional who will take time to get to know them and be able to help eliminate the noise, simplify the financial world, foster clarity, education, and confidence as well as advise them based on what is in their long-term best interests. One spouse manages the household finances and leaves the other spouse uninvolved and uninformed. Although the number of women who manage the household finances continues to increase, many married women are shockingly not aware of where their investments are held, how much is required for monthly household expenses or what would happen if their spouse became disabled or died. When one spouse takes on all these duties for the family, it leaves the other spouse out of the loop and at risk. A stereotypical division of family responsibilities where one spouse takes care of the finances and the other spouse takes majority care of the children and household allows for a serious disconnect that may have myriad consequences. Prior money decisions are viewed with regret and not considered learning opportunities. There are few people who haven’t made a bad decision with their money at some point in their lives or who later realized the true opportunity cost of not saving enough earlier in their lives. However, some women view such “mistakes” with shame and sweep them under the rug when it is more productive to consider those experiences as a learning opportunity or a wake-up call for improvement and better understanding. All investors should make time at least quarterly to check in on their financial status and progress toward the life they wish to live. This can result in feelings of empowerment due to having money, goals and values all working toward alignment. It is also important to reflect upon and gain clarity about subconscious money beliefs, as they were established in childhood and often continue to present into adulthood. Regular meetings with a financial advisor are also pertinent to financial success because they provide the chance to discuss concerns, track goals and announce victories. An advisor can help identify areas of vulnerability and strength, establish resources to weather financial emergencies, manage risk exposure, craft a savings and retirement plan with a sensible investment strategy and help manage emotions and stay informed during periods of market volatility. When women talk about money, they break through the barriers and stigma to address any concerns or fears they have. Ask questions. Dare to begin. Nicole joined Forum Financial Management, LP in 2014. She currently serves as an Investment Advisor Representative. Prior to joining Forum, she served high net worth clients while managing operations and client services for an investment management and financial planning firm in California. With more than 13 years of financial services experience, Nicole has gained a wealth of knowledge about tailored investment strategies, financial planning, behavioral finance and advisory operations. Nicole is passionate about financial education and believes that having this foundational knowledge is paramount for clients to achieve their goals. Her specialties are guiding clients who have experienced life-altering events and empowering women. Nicole earned a Bachelor’s degree in Public Affairs from Indiana University – Bloomington. Nicole is a CERTIFIED FINANCIAL PLANNER™ professional and an active member of the Financial Planning Association. 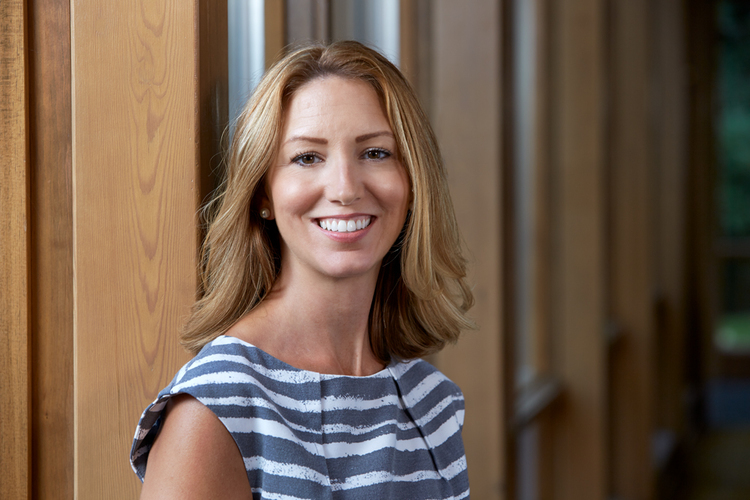 She serves as an Advocate in the CFP Board’s Women’s Initiative program (WIN) that helps to attract more women to the financial planning profession. She is Treasurer of the Pink Heals Tri-Cities IL chapter whose mission is to raise awareness for local residents experiencing life-altering illnesses or events by partnering with local public service, businesses and families. She resides in Campton Hills, Illinois with her husband, their two children and Treeing Walker Coonhound rescue dog.